I don't tend to be too adventurous with my food. Although I like to try new things, I find that I end up going to the same places over and over again. 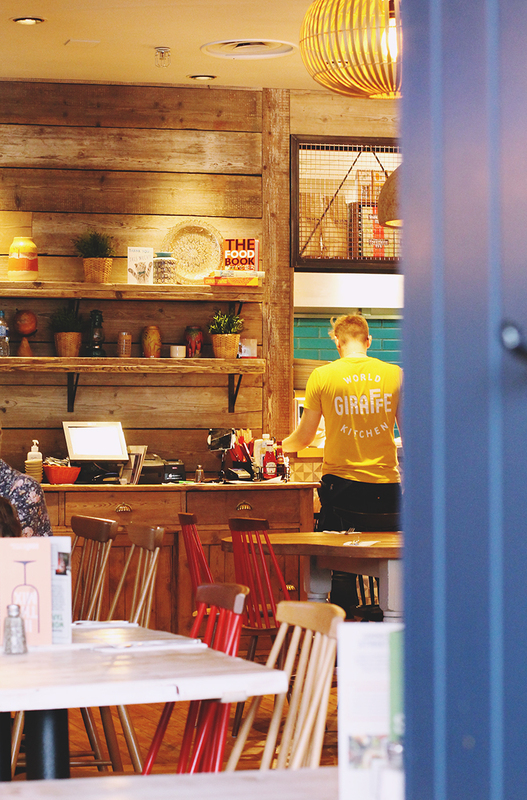 So when Giraffe invited me to try out their Basingstoke branch, I was eager to expand my culinary horizons with their signature global-inspired cuisine. With a large covered terrace and spacious floor inside the restaurant, it doesn't feel at all crowded or busy, even during the Saturday lunchtime that we visited. The decor is bright and cheerful, with art on the walls and a really welcoming atmosphere, helped by the attentive staff. For our lunch, we tried out the tapas menu. 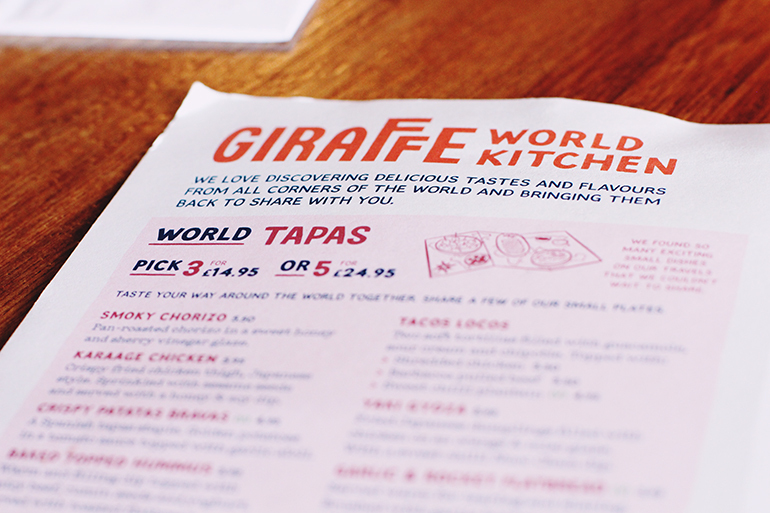 Since Giraffe is all about world food, there is a huge, varied selection to choose from. 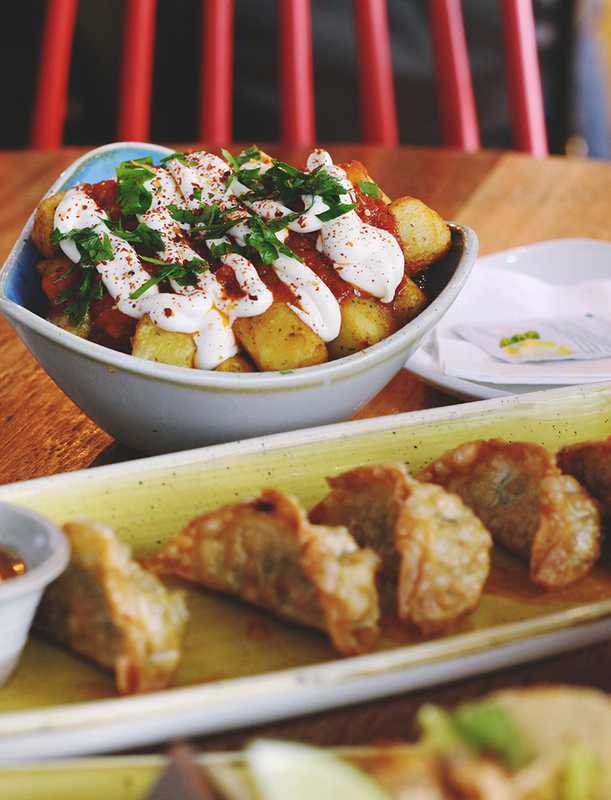 The tapas are individually priced, or there are set prices if you buy either three (£14.95) or five (£24.95). If you go for the latter, you also get a free wine. Since we're not drinkers, we declined the wine but the staff were insistent that we take it. Luckily I was meeting up with a friend that evening so I took it with me and looked like a lovely, generous friend bearing gifts! The menu looked so good that we chose six tapas dishes but our eyes may have been a bit bigger than our bellies! It's incredibly filling and, just as importantly, absolutely delicious. Despite the mix of cuisine, our meal was heavily Japanese inspired with crispy salt & pepper squid and succulent chicken gyoza. 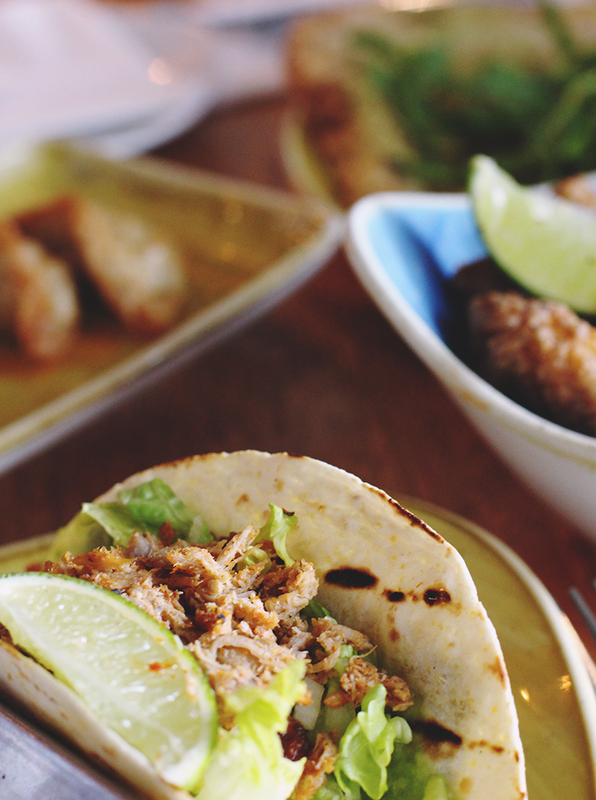 The karaage fried chicken was perfectly cooked with a crispy skin and sweet honey dip, while the chicken tacos were just the right size (and just the right amount of messy!). They were filled with a generous helping of creamy guacamole and slightly spicy chipotle. Departing from the chicken-fest, we added some extra carbs with warm, squishy garlic flatbread and Brazilian-style patatas bravas: tomato sauce-drenched potato cubes topped with garlic aioli. Both of these were huge servings so we were very full up by the end of our meal! Because we'd had so much chicken and carbs, there was no room for pudding which was a shame as they looked yummy. In fact, the whole menu looked delicious. We've already made plans to return and sample some of the other dishes on offer. I've got my eye on the Taiwanese bao buns! Meal was provided by Giraffe in exchange for review but all opinions my own. 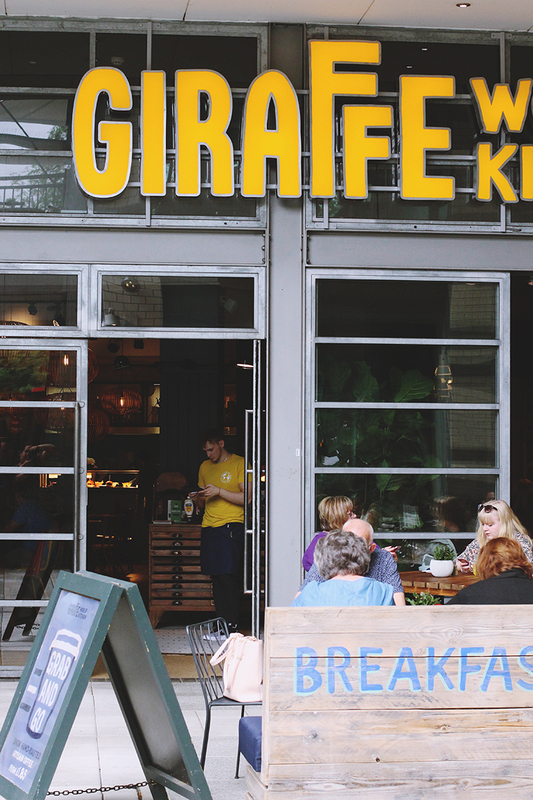 I've only ever been to Giraffe for breakfast, but I love the idea of a tapas style meal as it means you don't have to pick just one thing from a menu!